Over the years we have received hundreds of emails, letters, phone calls and face to face compliments on our Clematis plants, the quality of the Mail order service we provide and the bespoke box we use for our plants to travel inside. So we thought that it was time to start to share some of the email comments with you as they come in :-). First to introduce myself - I am the lady from Northumberland who was on Gardeners World (March) in my garden talking about viticellas, and asked you for a C. tangutica 'Helios'. You promised to let me know as soon as you had one ready to post, which you did in mid June I think it was, and the plant arrived quickly, beautifully packed and all at a very reasonable price. I was impressed by your efficiency and attention, and planted it immediately. I have been even more impressed by the quality of the plant, the growth and flower that it has made in just a few months! I open my garden for lots of gardening groups and there have been lots of comments about it, and consequently lots of compliments flying in your direction from myself. When visitors ask about buying clematis, you are at the top of the list. I have attached photos, taken recently ( mid October) for you to admire. Well done! I am also chair of the NE Group of the HPS and hoping that we can book you for a talk on clems in the future, possibly 2015. I doubt that you would really want to travel up here in February so will try to choose a better time, October or March. I will consult your list. I am writing to thank you for the excellent service I have received over several years. Your clematis plants arrive the day following my telephone ortder in 'tip-top' condition, superbly packaged and delivered by friendly and efficient service people. It is a pleasure to speak directly to you and your staff when I order by telephone and to speak to people who actively grow grow the clematis of which they are the experts. Dear Susie, I am so thrilled with my delivery,beautifully packed and am so thrilled that I have found you I am now an ardent Taylors Fan and will tell all my pals about you. Once again a BIG THANK YOU. Kind Regards, Shirley Burstein. What a contrast with some large companies who advertise and sell many garden plants to the general public and from whom I have tried to buy over many years but where a telephone order always involves long protracted conversations with operators and the frustration of poor plants delivered many weeks later in some circumstances. Well done Chris and Suzy and staff. I wish you every success for now and for the future - you deserve it. Sincerely, Eric White, Matlock, Derbyshire. Also the driver was extremely polite and helpful, it was a pleasure doing business with you. Hey, I would just like to let you know that the clematis has arrived safely and I am very happy with it, it was for a birthday present for my mum and she has been looking for Henri clematis for years very happy all round and again thank you for a quick delivery we will be definitely using again. Thanks, Amy. Hi. You sent me a large order a few weeks ago. I just wanted to say that I was bowled over by the quality of the plants and by the care you took with their packing. Thank you very much, Joanne Boddington, Manchester. Just a note to say I received my plants this morning and they are fantasticly packed, many thanks,the catalogue is brilliant too,will not be afraid to order again from an online nursery, Thankyou, Mary. Hello, Plants arrived early this morning, delivered by a very cheerful driver, so congratulations on your choice of transporter. I am delighted with the clematis, securely packed and very good size, healthy plants. I'm planting them today, and looking forward to the summer display of the viticellas. My WI has formed a Garden Club, and I shall be recommending you to anyone who's in the market for clematis. Best regards, Doris Marley. Just to say thank you so much for my beautiful clematis which arrived today. I am very pleased with them and they look so healthy despite their journey. I also have to congratulate you on the superb packaging which obviously contributed to the fact that there was no damage whatsoever. I only wish I had a larger garden to enable me to buy more Clematis! Again, very many thanks for such a prompt delivery. Ann Monaghan. Dear Chris, I have received my clematis this afternoon and will be planting it tomorrow, providing the weather improves a little. I was impressed by the way it was packaged and also by the little handwritten thank you note signed by Suzy. I shall recommend you to my friends and will definately order from you again next time I want another clematis. Many thanks, M C Hargreaves. Thank you, clematis has arrived and looking healthy. Sheila. Your order has just arrived in perfect condition and the plants look excellent. Thank you so much. All the rain will get them off to a good start - the silver lining to the cloud!! Very pleased with your service so far. Thanks for prompt delivery! I just want to say how impressed we were with your Customer Service, I foolishly made a mistake in my e-mail address which you readily dealt with. The Clematis was delivered the next day, beautifully packaged with planting instructions etc. You also included your Catalogue & Growing Guide which in addition to the clematis pictures included a most helpful question & answer section plus pruning instructions. We were most impressed & will readily recommend you. The plants all arrived in excellent condition and are now busy finding their feet - slightly wet feet of course! I had 4 new clematis from you last year, for my own garden, and they are putting out good strong growth now. I know where to come for any more, I'll just have to find room for them. Many thanks the plants arrived today, they are looking very good. Sorry I haven't replied sooner but I've been unwell. I just wanted to email to say thank you for sending out the clematis..they're doing well! We will definitely be ordering from you again in the future! Just to say thankyou for my 3 clematis, received just 48 hours after placing my order! I shall attempt to plant this weekend (weather permitting ) following your web site instructions Thank you for wonderful service (and choice ) clear instructions re planting soil type and position. Kind regards, J Cranfield. Plants arrived safely and they look very nice. Thank you for your swift delivery. I just had to let you know how pleased with the service that you offer the clematis was delivered next day as promised and arrived in perfect condition due to good packing well done! How long do you think it will be before more of the Esme clematis are ready? Thanks, Tim. I just wanted to say how pleased I am with the excellent state in which my clematis plants arrived when delivered yesterday. I was most impressed with the way in which the plants had been packaged so that there was absolutely no damage or drying out. I would most definitely buy from you again. The clematis I ordered arrived yesterday as arranged and my husband and I were delighted to receive such a beautiful healthy plant. The two clematis I ordered arrived in lovely condition and I was very impressed with the way they were boxed up. I just wanted to say thanks to Sheila who put in the compliments slip and I shall certainly be ordering more from you next month. I just need to buy more pots and find room!! Regards, Carol Homer, Cornwall. I would just like to thank you for delivery of my two "Frankie" clematis, they arrived in good condition. My late daughter was called Frankie so they are very special to me. You have a very good website. They arrived yesterday and they are lovely, thank you. Dear Chris and Suzy, Just thought I'd let you know that my 3 clematis arrived today as promised and fabulously packaged. I am so excited about planting them as my garden was newly designed and landscaped as an early retirement present to myself and so far I am missing plants with height. I'm sure I'll be shopping with you again in the near future. Kind Regards, Ann Payne. Thanks, order received on time, very pleased. Clematis looking strong and healthy, hopefully i can keep them that way! These look great to me, thank you for sending them so quickly! Many thanks - Clematis Snow Queen safely arrived this morning. Just to let you know the three clematis arrived safely yesterday. Wish me luck in bringing them up, am not very green fingered! And thanks for the catalogue, its very helpful. Just had to write and say how pleased we were with the plants, exceptional quality, packed well just cannot thank you enough. Really really pleased. Another fabulous set of plants thank you so much. Joanne Boddington. I received my order today, and would like to thank you for your brilliant service! Many Thanks ï¿½ Jeanne McCulloch. Sorry this is a bit late. Plants arrived OK. Many thanks. The first lot are all growing well despite the weather. Hi, Would just like to thank you for the beautiful clematis. Prompt delivery, fantastic condition when arrived and now happily plodding on in their new home! Thanks again, Riki Bannister. I have just taken delivery of my first order from yourselves and want to say how impressed I am with both the quality and condition the plants have arrived in, I shall definitely be ordering more from you. Hello, Just wanted to let you know how pleased I am with the two plants I received last Friday. Very well packaged to withstand transport and very healthy and mature specimens. Thanks for a good service. Many thanks for Etoile Rose which arrived today beautifully packed and in perfect condition. He is well pleased with the size and quality of the plant, also the information with it. Clematis Fireworks arrived in one piece( still trying to unwrap it) LOL, thank u very much for such a healthy looking plant. Have received my plants they are beautiful.Thankyou for such a promt hassle free service. communication.Thank you,I shall be back! Outstanding plants. A very big thank you. Just wanted to thank you for my beautiful plants which arrived this afternoon. The plants are the best I have ever seen, wonderful healthy specimens, brilliant size and amazingly well packed. Not a sign of loose compost and no lichens or weeds on the top of the compost, as often happens! Such a fast and convenient delivery too. They are outside now, getting a nice ï¿½natural...watering All I want now is for the rain to stop long enough for me to plant them and then some of them can hopefully start covering up the back of our neighbours horrid, shaved off and dead looking. conifers. I am going to pour through your lovely catalogue now. Best wishes ï¿½ and I hope the weather is not too bad with you! Clematis arrived today beautifully packed and making a 91st birthday a very happy one. Thank you. Sheila Partington. The clematis Wisley arrived safely and in excellent condition, a very good looking plant. Thank you so much for excellent service. Thank you very much. All is perfect. The clematis was delivered safely on 21st July and the recipient was very pleased with it. Thank you for the good service. Thank you so much I will follow your advice, keep up the good work your clematis are so wonderful and we are looking forward to buying more very very soon. Plants received safely. Thanks for your extra work on it! Cheers, Kirsten. The clematis arrived and is planted - looks like a healthy plant. Dear Sirs I have ordered several clematis from you this year. I would like to take this opportunity to thank you for sending out such healthy and vigorous plants, beautifully packaged. Out of the dozen or so plants I have received, not one has arrived damaged or in an unacceptable condition. All are thriving despite the somewhat inclement spring we have had. Thank you so much for the dispatch and safe arrival of the plants on the following day. They are healthy and strong and we've planted them exactly according to your brochure instructions and are hoping for a fine display in a year or two. Very well packaged, as usual. The two clematis I ordered came today safe and sound. Thank you for the excellent service. I just wanted to thank you for a fantastic service. The plants arrived on time and were a fantastic birthday surprise, thank you very much. Just a quick e-mail to say thanks very much, received the order on Tuesday, plants look fabulous. Will definately be recommending you! Thank you, my Grandma was thrilled with her gift! With the original bonus that it came from her home town of Doncaster. condition,packed perfectly and arrived on time.Thank you SO much! Just to say a big big thankyou for the clematis i ordered from you. delivery was fast and i am very impressed with the size and health of these plants. hubby just built a new pergola and i cant wait to see them in all their glory, i would thoroughly recommend to to anyone. I just wanted to thank you once again. The beautiful Mary Rose arrived safely in London on Tuesday mid afternoon and the friend to whom it was delivered was so pleased with it and told me it was a beautiful plant - large and covered in blooms. Having admired mine for some years and never succeeded in finding one (not having I/Net access) she was absolutely delighted! is of exceptionally pleasing quality, thank you so much. 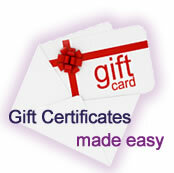 The recipients were thrilled with their gift, so thank you for your efficiency and professionalism. We have now got 5 buds on the 'Zara'clematis, one of which is getting bigger and with a bit of luck might manage to open before it gets too cold. Our 'Markhams pink' has doubled it's height since we planted it, it will be lovely to watch those buds appear next Spring. I am eighty one but hope that I have a few more years left to enjoy my garden, I am still able to do all the gardening myself and I enjoy it immensely! beautiful plants - fabulous condition and a very good height. There is a queue in the office for your catalogue which you enclosed!! Received my clematis today and am over the moon............expected a plant about 6" high like so many mail order disappointments but it is brilliant............many, many thanks. The plants arrived this morning and look in good nick, Thank you for good service. Arrived a-ok thank you. Excellent! Just a few lines to thank you for the three clematis that arrived safely on 5th Sept as requested. They look healthy and we look forward to enjoying them! of disappointments but these are in superb condition and I'm looking forward to getting them in the ground. Can't wait to browse the catalogue (thank you for including one) and plan the next order. with moist compost and no damage whatsoever. Thank you. Thank you so much for the prompt delivery of my order. The plant was bought as a present for my sister and she is really pleased with it and your catalogue and planting instructions. Just a line to say that my plants have arrived in suberb condition, they look wonderful, I just hope I can keep them as healthy. Thanks. I have just received the above order for 3 Clematis plants and I am delighted with the condition and health of them. Was ecstatic when I opened the parcels and saw the flowers... flowers I didn't expect to find! They all seem healthy, in very good condition, well they were all lovingly packed. Thanks for the prompt delivery of the clematis, all packed beautifully. Canï¿½t wait to plant it if it ever stops raining! Your company was recommended to me by a friend of mine who regularly purchases from you, Mrs Pam Puig. My plants were delivered yesterday and I just want to say a big thank you. They are lovely, healthy plants. I certainly wasn't expecting them to be as good as they are. Just a quick note to say thank you for a prompt and efficient service. Brilliant website. Great service. Wonderful packing. Beautiful healthy plant. Well done. Thank you. I'll recommend you to all my gardening friends! with the clematis. Thank you for your prompt service. A big thank you for the excellent plants which arrived safely and so promptly yesterday. Also the website makes ordering very simple for a computer ignoramus like me! Very good service much appreciated. Tom Bayes. Many thanks, our order arrived at around 1600hrs. 18/10. Thanks to the excellent packing it arrived in perfect condition and has been planted! We appreciate the growing guide and catalogue we will show it around. My order arrived today as per arrangement. Plants were beautifully packed and suffered no damage during transit. They look good specimens and I am particularly pleased with the "petit faucon" which is a Christmas present for my cousin who frequently admires the one in my garden. Thank you very much. Dear Chris and Suzy, thank you for your prompt delivery of a very healthy looking and beatifully packed florida sieboldii recieved to day, Yours Sincerly Mrs V Crewe. very impressed with your service. The packaging was great and the plant looks first class. Must now see how it thrives. I WOULD JUST LIKE TO SAY A BIG THANK YOU. I RECEIVED MY WREATH ON THE SPECIFIED DATE AND IN PERFECT CONDITION. I AM THRILLED WITH THE QUALITY OF THE WREATH. IT HAS BEEN BROUGHT TO GO ON MY MOMS GRAVE FOR CHRISTMAS. I KNOW SHE WOULD LOVE IT TOO. ONCE AGAIN A BIG THANK YOU. HOPE YOU ALL HAVE A VERY MERRY CHRISTMAS. REGARDS ANDREA HICKMAN. Just wanted to thank you for the two clematis that I have received intactï¿½ï¿½.although they are probable shivering at the moment! The catalogue enclosed is a real gem and I canï¿½t seem to stop browsing. As the two plants are a Christmas present for my sister, I am undecided whether to keep the catalogue or pass it on to her!!! Thank you very much Chris. I shall take a look at that variety now. By the way, I saw you on either Gardeners world or the royal Chelsea flower show, cant quite remember which one, back in summer I believe. You gave an excellent guide to pruning clematis. I still have the advice you gave written down. I had to keep pausing the TV to make note of what you were saying. I shall be buying lots from you. Excellent top quality plants - your pride shows in your plants. Thank you once again, Scott Pothecary. Further to my earlier email this afternoon, I can now confirm that my plants have arrived. It wasn't that I minded that they hadn't arrived, just wanted you to know in case you had to contact the carriers. The catalogue is great, full of information and lovely pictures. My tiny garden is so full now, the only way is 'up'! Can't wait to plant them and see the results. I found your website whilst doing a search for plants named 'Barbara', as I was looking for something to plant in memory of a friend of that named that died recently. Many thanks for good service, and I will recomend you to anyone who is listening! I just wanted to give you a big thank-you for such fab service, and especially for getting the mug done so quickly as well, I am very pleased with it. The package arrived safely Friday afternoon, it all went like clockwork, thank you so much. Just want to say thank you for the prompt delivery of our plants. They arrived when planned, in excellent condition. Also thanks for the enclosed catalogue; we will probably be in touch soon for some more choices. Will you be exhibiting at any rare plant sales in the north west area, or maybe at the Harrogate show? Thanks for your prompt reply. I will certainly be ordering the Durandii and also some other ones. It is my mother in laws birthday soon so will be choosing Pamela as that is her name. I would like to congratulate you on your website. It is so clear and all the options for choosing the varieties brilliant. One of the best plant sites I have come across. I just wanted to say how pleased I am with both my ordering experience and delivery from your company. I planted the clematis when they arrived last Wednesday and they look very healthy, although I am now protecting them a bit from the biting wind. My sister recommended you to me and I will have no hesitation in recommending your company to others. Hi, just to let you know that my Clematis have arrived safely. Thanks for packing them so well, just got to plant them now! Thanks again, Sue. All arrived safely, and can I just say, having placed my first order with you, what a really good experience it has been. From simple on-line order, to amazingly good packaging, good looking plants, a helpful brochure, and personalised all the way through. Plants received in good condition. Thank you for your service.. Mr V Armstrong. Just received my order and wanted to say how impressed I am with both the quality and size of the plants, not to mention how well they were packaged. Thank you so much, will definitely visit your site for more plants and tell people of your service. Just letting you know that I received my plants on Friday, and they all look lovely. Thank you. Thank you for letting me know this clematis is back in stock. I'm not ordering anymore at the moment but want to say how happy I am with the ones I ordered (on an order for Philip Samways at Katsura Gardens about a month ago). They all arrived in perfect condition, very efficiently packaged and looking lovely. I have yet to plant them out but they're growing away nicely in their pots at the moment, 2 of them are about to flower! Order arrived an hour ago and looks good. Just to say many many thanks for the clematis we received this afternoon. Mrs McCorquodale, Little Ponton Hall, is thrilled with them all and says a big thank you to you as well. Thank you also for the catalogues...we are open on the 12th May, so I will put them out for sale then. Very pleased with the clematis that arrived safely today. Thank you also for the extra one (the Elizabeth Montana). Please can you kindly email whn you are accepting orders for Emilia Plater as I would like to purchase two. Hello Chris, I have just placed an Internet order on your website, may I convey my congratulations on an excellent site, easy to navigate, quick to find plants and an efficient pay and delivery service with being able to choose your delivery date. Well done, as a website builder myself I appreciate what you have done. I hope your plants perform as well! Packages arrived safely and were distributed yesterday. Everyone thrilled with their plants, all we need now is some nice weather for them! Thank you very much for your talk and arrangements for the delivery of plants. Good morning, Just wanted to let you know that my order has just arrived.All intact, Anyway,just a thankyou to say that they have arrived safely,and I am excited to have found the varieties with you ,most of which I cannot find in France! Best regards,Elaine Catlin. Parcel arrived. Thank you for your prompt service. Jenny Hadland. plants as all looked extremely healthy. Plants arrived in superb condition. Thanks for that. Congratulations on a really excellent website and great customer service. My plants have arrived and I am delighted! They are larger than anticipated and I even have flowers. I have never ordered plants on line before and I was anxious, but it has been a really excellent experience from comprehensive information and easy to use web site to delivery exactly as requested. Ten out of ten for the experience. Now we have to see what the weather conditions are like! In 2012 we had -24C in the winter and 42C in the summer. Gardening here has its challenges. So far this year it has not been too bad but we teeter from warm and sunny 23C to frost this morning. Anyway my plants from you have had the best start in life. Princess Alexandra and companion arrived safely this morning along with the sunshine. Received my plant today,and what a plant.was very pleased with the quality ,the packing ,and the service.a rare thing these days. Chris, many thanks for taking the trouble to take the Flammula to the Harrogate Show, it is appreciated. Thank you very much for the 3 lovely clematis plants we received yesterday. Just to let let you know, the 11 Clematis arrived all safe and well, excellent plants all as described including good roots. I will happily recommend you to all my customers and friends, and will definitely be back for more. Thank you both very much. just wanted to write and say thank you very much for the prompt delivery of my order and how very impressed we are with the quality of the plants. Excellent service and excellent plants. Hello Really impressed with your website. The choice of clematis available with all the necessary information supplied. Will definitely buy from you. Will you be at the Malvern Flower Show? Good luck with Chelsea. Just wanted to let you know that our order was delivered as scheduled yesterday and that we are delighted with all aspects of your service. Your web site was simple to use , your stock is very comprehensive, the order was delivered promptly and the plants are excellent specimens. Well done. We will be recommending you to our gardening friends. My "Ruby Wedding" clematis arrived this morning. It is an excellent specimen and was in really good condition. Just a quick message to say, thank you for my order which has arrived this morning. Plants in perfect condition as always. Just to say I am delighted with the quality of the two clematis plants which arrived this morning, thank you. Hi Chris and Suzy, I have just taken delivery of Plants ordered yesterday. Thank you so much for the way the Order was handled on your Website,and the way of delivery. The Quality of the Plants are 2nd to none. I've seen and bought from others, but no more. I look forward to many years of the pleasure from these Plants. John Nunn (Rayleigh. Essex). Safe delivery, excellent plants, many thanks, Esme. Just a quick e-mail to say thank you for your prompt and efficient service and to say I am absolutely delighted with my two clematis - beautiful healthy specimens. What a delight to browse your wonderful site, place my order and receive plants two days later. I would certainly recommend to friends. Just a quick email to thank you for the wonderful clematises which arrived yesterday. They are in excellent condition and packaged extremely well. Thank you so much - they will look so good in my garden. I want to thank You from the bottom of my heart for the beautiful clematises! They were delivered yesterday and were in perfect condition. Clematis received today, thank you. from Mrs R Reavell. Just a big THANK YOU. I am very pleased with my order so well packed & quick delivery. The plants are much taller than I expected. I will definitely purchase from you again & will be recommending you to others. Certainly the best plant company I have ordered from. Our order arrived on time and the plants are lovely! Thank you for your great service and excellent website. I would like to thank you for your professional, brilliant service. The clematis arrived in superb condition, packaged beautifully. The service you offer is excellent and I will recommend you without any hesitation. Although you won't be aware, I have recently received two, beautiful clematis from you. I shared an order with my Daughter-in-law when I was down there so they went to her address. Lovely plants.. Anne Davies. I just wanted to let you know how pleased I am with the various clematis I ordered from you a couple of months ago, especially ï¿½Abileneï¿½ which is a beautiful colour. My C. flammula is scrambling away. Very happy with the quality of your plants. Thank you. Thank you for sending the two clematis so promptly. They are lovely plants and are now happily sitting in the sun in the depths of the Auvergne in Central France ! I have just received my order 48 hours after I discovered Taylors on the Internet. I could not be more satisfied with the service. Thank you. Just wanted to say many thanks, my plant has just arrived in fabulous condition and was packed beautifully.You are running a great business and I would certainly buy from you again. This is to say a"big" thank you for the safe delivery of the beautiful Fair Rosamund. Also I was very impressed with your packaging. Please send my friend one of your brochures. I don't want to loose mine! Many thanks Felicity Campin. I received the plants today in perfect condition. You have the best packing system I've ever seen!! Just to say that all the plants arrived in good condition and we are very happy with our plants . Thank you for the excellent order of clematis that has just arrived , I am so looking forward to the future results!! Hi ,Just like to say that my clematis plants arrived safely at 10 30 this morning ,Once again many thanks, the plants look super cheers for now John and Pam Salvi. Just to let you know that my two clematis arrived safely, thank you. Many thanks for sending the clematis for my mother's b-day - she was delighted. Thank you for such good service and a beautiful clematis (happy anniversary). It was mum and dads 45th wedding anniversary yesterday and I wanted something a bit different they loved it, I hadn't seen it at the time I gave it to them as I had it delivered to my work then left it in its box over night it was packaged really well and was a good size and quality. Once again thanks. Lisa Tucker. Plants arrived today. They are fab. Strong, healthy and fresh. I just wanted to let you know that my Clematis arrived safe and sound yesterday. I am very impressed with the size and condition of the plant. You offer a great service. I love the catalogue, I have no doubt I will be ordering from you again. Great service from Taylors as always. Many, many thanks and I have ordered the Clematis today for delivery on Tuesday next, 25th June. Yes, you are right, our client is a lovely man though my husband muttered something about the morning flower gift to be, "... something of a high bar for the rest of mankind!!" STILL, I live in hope!!! Your Clematis are an excellent quality and I must tell you that we also had some Thorncroft ones, who I imagine may be rivals. You may like to know that your plants are far superior and we are more than pleased to receive them. Just to let you know that the 'Wisley' arrived. It is now in situ and appears to be thriving. Many thanks! Just a note to say how thrilled I am with my four new clematis which arrived so speedily last week. They arrived in perfect condition, one of them bursting with blooms and I am absolutely delighted. I told a friend about you an hour ago and she promptly went off and ordered three for herself. 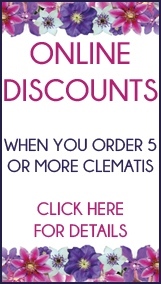 I donï¿½t think I will ever buy a clematis anywhere else again. Off outside now to finally get them settled into their new homes. Thanks - the lovely plants arrived as per schedule this morning . I wish everyone's website was as good and delivery as efficient !! I just wanted to say that I ordered Betty Corning from you a few weeks ago. The plant was fantastic and is in flower now. A brilliant and personal service , thank you. I have just ordered a couple more. Having received my clematis today, I just want to say thank you for such excellent plants and looking forward to having many years of lovely flowers. I've had clematis from you before and was very happy with my plants then. Thank You - thank you so much for wonderfull clematis, all 5 arrived in good shape. Special I was so happily surprised for the "Chelsea" so full with flowers and what a coulour !! Also Rebecca is just perfect. You have really "made my day"
The clematis arrived this lunch time in excellent order. Very impressed. Thank you very much for my recently recieved order of clematis, I am delighted with the quality and size and excellent package. Thank you indeed for my order which arrived today. The clematis are in excellent condition and I look forward to planting them tomorrow. I am so pleased to have found Taylor Clematis and I am already planning my next order ! With many thanks for being such a great company to deal with in all respects. Dear Alex at Taylors Clematis. My order has just arrived and I must thank you for your speedy delivery of what looks like a very nice healthy plant. Thank you also for the catalogue. Just a quick line to say that the clematis were delivered today.. The clematis look in very good condition and I look forward to seeing them flower in my garden over the coming years. Just to say Auntie Brenda's beautiful box containing her clematis arrived this morning. She was totally overwhelmed and so grateful. Plants have arrived this morning as promised. I have opened the top and I must say I am very pleased with the quality. I will be planting them over the weekend. I am sure that I will be buying more clematis from you and I will spread the word that you sell really good quality plants. I ordered these plants as gifts for my mother as she has wanted them for some time. They have arrived with her today and she is absolutely delighted with the quality of the plants. Many thanks for such great service! The order has arrived - the delivery date was adhered to, the delivery person followed instructions if I was out ( which I was ) the packaging was impressive and the plants are in tip-top condition - my thanks and well done team Taylors Clematis!! I received the Clematis this morning as promised. Great service and lovely plants - thank you. Thank you so much for your prompt, professional & efficient service. The top quality clematis arrived early today, beautifully packaged & in perfect condition. Very many thanks. I just wanted to say a big thank you for the excellent plants that arrived today, well packed and in perfect condition. I will be back in touch for more when I have cleared a few spaces. My order arrived safely and exactly on time. May I complement you on such wonderfully healthy looking plants, you obviously take great care of them. I just wanted to let you know that the Clematis has arrived and I have been told that it is absolutely lovely. Just to let you know clematis arrived OK. They are wonderful plants and I hope I can do them justice! Hi Sheila, thank you so much for sending the lovely clematis, it arrived today (Thursday) looking very healthy and in excellent condition. Many thanks, plants safely received, lovely plants, well grown and nice quality. Will pore over your catalogue and order again in the future once I have made up my mind; I want them all! Two beautiful plants arrived at mid-day today - I was amazed and delighted to see the Samaritan Joe is in flower and with buds to come. They are superb plants and they all arrived in perfect condition! I would like to thank you for your excellent service it is so unusual nowadays to meet this sort of customer service For 30 years I ran a successful business giving similar service to the public.Long may yours continue,and I shall have no hesitation in recommending you to my many friends. Just wanted you to know how pleased I am with your excellent service plants arrived today very well packed and in good condition. Paul Wade. Hello- these clematis arrived this evening in perfect condition. Thanks for the well packed clematis plants received yesterday. Look forward to seeing them in full bloom one of these days. Thankyou for the clematis plants. They arrived yesterday and are now happily planted in the garden. Thanks chris the plant came safe and sound and very healthy. Many thanks my hubby is a happy man. just wanted to say thank you for our clematis order. We were impressed with the excellent packaging and the quality of our plants. Thank you very much - we will definitely use you again. Have now completed two orders with you and I would like to say a big thank you for the quality and speed of service that I have received. The packing of the clematis was excellent and next day delivery was superb. No long impatient wait with spade in hand wanting to get the plants settled and established. When the plants arrived I was reminded of a poem I saw a long time ago about the arrival of a clematis as a thin withered stick. No doubt you have read this poem before but I have sent it as an attachment to this e-mail. It reads well when included in a clematis catalogue. Received an email from our dear friends thanking us for the clematis and telling us how beautiful it is. I just want to say that I find your website very useful and very easy to navigate and the photos are first-rate. It is easy to sort and narrow down what you think you want by so many search-refinements. EXCELLENT ! Just a quick acknowledgment. Great website service, excellent packaging, fine plant specimens, a good all-round job. Thanks. Roger Spooner(ii) !. and the packing absolutely the tops. Could do with some more space now for others. The clemmies arrived about half an hour ago and are absolutely gorgeous - and so well packed. Thank you for a great service. This order is actually for three of us and I must say it's a good idea. You give us a discount, which is great for us, the postage is less than it would be for a couple of plants, and you get to save on packaging, so I hope it's win win for all of us. The 3 clematis plants that I ordered arrived today as promised very well packaged and looking extremely healthy. 2 plants were even in flower. I am delighted and will use you again. Thank you very much. Many thanks for your well organised despatch of this order to my sister in law for her birthday. It arrived as they returned home from an outing. She was delighted with her plant. 2 very nice plants received today, many thanks ! This is the usual excellent service I have had from you, including (about a year ago), 'replacing' tokens which my son and daughter in law had mislaid! Good for you and thank you. I have received the order #21518 I have placed on Sunday and the Rhapsody I have added on Monday: everything is perfect. They are so beautiful... I can't wait to see them with flowers! Congratulations for your excellent service. Hello - yesterday I received the Clematis alpina 'Ocean Pearl' that I ordered from you for our friends' Pearl Wedding Anniversary; I would just like to thank you and say how impressed I was with the delivery, the packaging and, not least, the quality of the plant. Thank you very much. Thank you for such good plants and very efficient delivery service. they arrived in perfect condition. I will most certainly use your company again and be recommending you to others. Thanks for adding the message. I was prompted to buy another of your lovely clematis as I was so pleased with my first order (made a few weeks ago). Again it was bought as a gift, and it was a beautifully healthy large specimen, and arrived on time and very well packaged. Keep up the good work! My wife as just received three plants from you and she is very happy with them,thank you very much. Clematis delivered this morning. Very well packed and in good condition. What service! Many thanks. I ordered 6 varieties of Clematis from Suzy last week. They are very healthy plants. Delivery spot on. Already planted. Thank you for your amazing service. Not only have the plants arrived this lunchtime, I have been kept informed every step of the way since they left you. The quality of plants is excellent, the packaging superb, and the value for money outstanding. I shall certainly be recommending your nursery and using you again when I identify more growing areas for clematis. I have received the most wonderful Anniversary clematis - thank you so much it is the best clematis plant I have seen - I am sure my sister will be delighted with the gift. What beautiful healthy plants, just arrived and unpacked straight away. Clever packing too. We lost a beautiful 14 year old specimen with a 16 feet spread, through building works about 6 years ago and have tried unsuccessfully to replace it ever since. I was delighted to find Nelly Moser available on your site, ordered 2 which were delivered today. I have to comment on the apparent good health of the plants and the excellent packaging method and materials, all A+. Here's hoping we can maintain their good health and establish them successfully. If it's possible to adore plant life, we adore Nelly Moser. Keith Stoker. Thank you for your e-mail. Clematis has been received & looks OK. I have not fully unpacked it as it is a gift but will be seeing our friend on Saturday when we can give it to them. Your service was very good & I would certainly recommend Taylors Clematis as a first class nursery to deal with. > have added on Monday: everything is perfect. > They are so beautiful... I can't wait to see them with flowers! > Congratulations for your excellent service. Excellent service and excellent plant specimen. Many thanks for the order we received on Friday. You very kindly sent me this email in September, how naughty am I not to reply before. I am a passionate grower of Clematis, my Mother set me off on this route, sadly Mum is no longer with us but I have very much followed in her footsteps when it comes to growing my lovely clematis! My sister who lives locally gets really annoyed that they grow so well in my garden buy not in hers!! I had just started this email, after placing an order, then realised that I also wanted a Victoria, but was not sure that you had this variety, I have just spoken to you Chris and added this to my order, success!! I wish that you were closer for me to visit but perhaps just as well or you would find me forever on your doorstep looking for new ideas! In my very small garden I must have about 35 varieties already. They give such a wonderful display all summer. I have received my delivery of Clematis. Thank you for such swift service. I should have expected that, as you come from a different country - Yorkshire. When Yorkshire goes independent I shall apply for a residential permit. I thought this was very honest of you as the plant appeared to be thriving, it is now planted and I hope that it thrives! I have ordered from you in the past and have found your plants to be well worth the money and in tiptop condition. Assuring you of my continued custom in the future. Suzy,I received my "gypsy queen" yesterday. It was in brilliant shape and I wanted to thank you for this and your hand written note with the plant. Just to notify you of the impeccable delivery of my clematis order to Italy. The three clematis plants I ordered from you arrived on Friday, 28th in good condition. Many thanks for the prompt dispatch. I now look forward to seeing them in bloom. Pearl Webster. I have just placed an order with you and wanted to tell you what a joy it was to use your website! You have thought of every possible search criteria. So often I use websites that are not user friendly I thought I must tell you how comprehensive yours is. Congratulations! I am quite new to clematis but I'm hooked. There is one for every aspect. I am also excited by the Clematis Boulevard variety and look forward to it's release after Chelsea. Thankyou for an excellent service from beginning to end. The website was good, the packing excellent and the plants seem fine. Order safely received - packed with such care - and plants perfect. Many thanks. Roger Hanks. I would just like to say thank you for my delivery of Clematis 'Freckles'. Every aspect of my purchase went very smoothly and the communication was superb throughout. My clematis is in the garden as we speak. Thank you again. Regards, Michael. Just received my first clematis from you. VERY pleased with the quality of the plant and the carefully way it was packed, not a drop of compost lost from the pot and no broken stems. Tip Top. Will now peruse your catalogue. Thanks. I have just received my order from your company and wanted to say how happy I was with the overall service and the quality of the plants that you provided. I will definitely be using your company again. for such good service . Thank you so much, three beautifully healthy plants arrived this morning, and are already planted, tied in, and surrounded by slug pellets! I wanted to let you know how pleased I am with the quality of the beautifully established Barbara Clematis received. Thank you so much. I will recommend you to everyone I know !! plants arrived last week in perfect conditions. All my students are excited about your clematis. Also the packaging was great and made with professional manner. I am just contacting you to say that my order was safely delivered this morning. I would also like to add that this is the first time I have used your company, and how very impressed I am with your web-site, acknowledgement of order, delivery details and packaging. There are a couple of on-line companies that I am dealing with at the moment who could definitely learn from your comprehensive, courteous and efficient way of handling orders. Hi, Chris, my beauties have arrived all in Italy in one piece. Thank you so much, I will tell you how they do. Just to say thank you for such a wonderful service ï¿½ the Clematis Edith plants have just arrived as advised and they look really healthy. I will certainly recommend your company to my gardening friends. Clematis arrived in perfect condition and on time. Once again many thanks for your efficient and friendly service. PS Pauline says "thank you" too! The plants arrived safely to-day, well presented and in excellent condition. I shall not hesitate to recommend your service to my gardening friends. Thank you. Just a quick email to say thank you for the superb plants and the wonderful packing. We're thrilled! It's our Ruby Wedding anniversary next week and we look forward to a patio covered in the gorgeous red flowers. Plants arrived in very good condition. Thankyou very much for Clematis Sweet Sensation. Your plants and service are wonderful. my patio. Many thanks for your help and speedy delivery. Could you please send me a catalogue if you have one. Just to let you know that your recent order of 6 clematis for David Cooksley in Shaftesbury arrived promptly and in perfect condition and all the plants are strong and healthy. We so appreciate the quality of your plants and the care you take in packaging them. Thank you so much. Plants arrived this afternoon. Well packed and healthy as usual. Very pleased with all aspects of sale. Just a note to say delivery arrived safe and sound first thing. Thank you so much for the lovely plant that arrived yesterday - barely 24 hours after we had ordered from you. We cannot think of another instance when we have ordered over the internet and had such superb information about the progress of our order or such a good delivery service. Added to that we received a plant that is clearly of the very highest quality. Should we need more clematis in future we will certainly be ordering from you, but in the meantime thank you most sincerely for giving us the most wonderful service. We are delighted. Plants arrived safe and sound - they look great. WOULD JUST LIKE TO WRITE AND THANK YOU FOR THE WONDERFUL SERVICE I RECEIVED AFTER ORDERING MY THREE NEW CLEMATIS LAST SUNDAY. THEY WERE IN SUBERB CONDITIONS AND ARRIVED ON THE DAY STATED. COULD YOU RUN THE ROYAL MAIL? I have just received my plants. They look terriffic. Thank you! Received plants today exactly as you said, Plants and service excellent, same as last time. My Clematis arrived today as planned and I just wanted to thank you for efficient service, good quality, fairly priced plants that arrived well packaged and in good condition - excellent! Just to say how pleased I am with the clematis, delivered on exactly the day I asked. The quality was far better than any I had seen in the local garden centres, and I had looked round many! The plants are growing nicely and I really like the flowers on the two clematis macropetala. I still have the anticipation of seeing Willy in flower. You were recommended by a friend and I will not hesitate to recommend you to other friends. Just to say thanks for the clematis which arrived safely, in good condition, and are now in the garden. Next challenge is to protect them from the marauding snails which have loved the wet weather over the Easter weekend! Plant safely received and planted up. Here's hoping for great growth. Thank you. I just wanted to let you know how very pleased I am with the beautiful and very healthy clematis that I collected from you about 3 weeks ago. Those that are in flower are putting on a good show and the rest are busily climbing up and beyond their supporting frames! I will definitely be recommending your company to anyone that will listen and will come to you again when I can find space for more clematis. I received my clematis yesterday and its great thanks. Was surprised how big it was. Really well packed too. I have just taken delivery of a clematis (Fireworks) of very good quality. It was delivered in very good condition and on the expected day. Thank you very much for your excellent service. I will certainly recommend you to others. Best of luck if you are at Chelsea this year. Thank you for such excellent service, ordered the clematis yesterday and it arrived today, well packaged and looking beautiful - complete with it's very own bee! I was gifted "Honora" in memory of my mother five years ago and it still looks absolutely wonderful. I'm sure my colleague Christine will be equally pleased with her retirement gift. Kind regards, Linda. Hi Chris - order received last week. Thank you so much for all of your help with this. Much appreciated. Just had to let you know how delighted I am with the two clematis plants I ordered from you. Beautiful, strong well grown plants, in generous pots allowing optimum root ball. Excellent packaging that meant the plants arrived in pristine condition. Next day delivery service worth every penny - plants fresh and ready for planting. Have received my order of Montana Tetrarose today. Beautiful plant, am very pleased with it, even had two flowers showing, so wonï¿½t have to wait until early next year before seeing flowers. Thanks again. I know where to come to when I need any further clematis. Just wanted to say thank you for the speedy and safe delivery of my order. I wouldn't hesitate in ordering from your company again. thank you so much have received my plants today and they are stunning!! Already looking at your winter bulbs ready in August. Many thanks for the clematis plants that arrived last week. All safely delivered and looking marvellous. We planted them yesterday, following your instructions, so hopefully we should have some even better plants soon. Many thanks for your highly efficient service and great plants. Weï¿½ll certainly order from you again and tell our friends to use your service. Just letting you know that the plants arrived today. All lovely and packed well. Thank you. I received this Viticella half and hour ago. It was in immaculate condition and is already planted in a prepared spot. Thank you once again for a superb service. My Angel is now sat relaxing in a bucket of wonderful Wiltshire rain water after her journey down south ! Your wonderful plants arrived today ten times better than anything on offer round here .please tell your team how happy I am with the quality and service.JP. My plants arrived yesterday and I am delighted. Such excellent quality plants and so well packed, they are planted now and look so good. I received the clematis I ordered yesterday and once again I am very pleased with the quality and the packaging. This is the third clematis I have ordered from you this year and I would like to commend you on your quality. I bought this plant as a birthday gift for my daughter in law and she was very pleased. I will most certainly order from you again. Clematis arived on day promised and in perfect condition, also your catalogue, what a wonderful variety, never thought there were so many types, also it was full of great information, will definately browse the catalogue and order some more in the near future. Many thanks for the great service. First class service, I received my clematis today perfect, I shall recommend you to all my friends and I will use you for all my future plants, it is rare today to find a good supplier and a good service. All OK. very nice plant thanks very much. The plants have arrived and they are so fresh and healthy looking. Thank you for the excellent service - good to be able to select a delivery day, to be given tracking info & to receive a really healthy plant so soon after placing order. Will certainly recommend your business to others. Just to let you know that my plant order arrived today , all safe and in good health . Excellent service all round ! On behalf of Eric we are sending our thanks for the latest well packed plants - as usual we are very pleased with them. Eric delights in showing people around our garden which is proudly showing off your clematis. Thank you for my order which arrived this morning, they all look very healthy. Now just need some decent weather to plant them. Thank you for the clematis. This is just to let you know that they arrived safely and your packaging was quite excellent. They are all planted and with last nightï¿½s heavy rain have been well watered in! I have received and planted the clematis I ordered from you. I simply want to thank you for the quality of the plants which I feel will bloom well having followed all your advice on planting. Furthermore I want to thank you for the quality of the packing which was nothing short of brilliant. The manner of their stacking and the careful wadding to protect the soil base and roots was terrific. you and will buy again. So pleased with the quality of plants, packing and delivery. I have recently had a bad one by mail order, I commend you. Dear Chris & Suzy( if I may call you that ?) my plants that I ordered from you arrived yesterday (03/06/2014) as promised, this is my first year of ordering plants on line and after my experiences with some suppliers I ordered plug plants from I was a little bit wary when it came to ordering more plants, I was getting let down on delivery promises, plants were arriving damaged/broken, bone dry, no compost around the root ball, plants out of the cell trays and boxes crushed/damaged so you can understand how I felt, I was writing e-mails for nearly a month on and off, my reasons for telling you this are, I suffer from ill health(severe C.O.P.D.) emphysema and I am on oxygen 24 hours a day, I am also house bound as I had to give up driving last year so I cannot get to the garden centres/nursery's like I used to so I have to rely on the internet now. Just to say a big thank you for the consignment of Clematis you sent me. I was very impressed with the packaging, Even more impressed with the quality of the planets. Ordered by email on Sunday then delivered by Courier on Wednesday Amazing. dear chris and suzy, My Clematis have just arrived, tha ploants are bigger than expected and in excellent condition. The packaging was superb. I work in the post office and know the importance of packaging and your was excellent. Dear Chris and Suzy, I wish to thank you for your excellent service in delivery of my purchase of 5 clematis. You sent them out on Wednesday and I received them on Thursday before 10am, City Link being the transporters. The plants were excellently packaged and the box arrived undamaged. On opening the box I found 5 excellent plants all with sound root systems. I look forward to next season for a fine display. Many thanks for sending my order - my well-packaged clematis received minutes ago : excellent plants. Just to say my clematis have arrived safely, beautifully packaged! Acknowledging safe receipt of order yesterday and many thanks to Jayne for careful packing - good job as delivery boys were a bit frightened of the box and kept telling me it's alive, it's alive!! Just wanted to say thank you very much for the clematis. They arrived today - much quicker than expected. A note to let you know delighted my colleague Lynn Bird is with the clematis plants you delivered. She said they were ï¿½enormousï¿½ and I think she was particularly touched that the specimen of Versailles was in full flower. All three have been planted out and Lynn is looking forward to the scented Frangrant Oberon during the dark months of winter. Thank you so much for helping my colleague through these rather difficult days. All received in excellent order and extremely pleased. Thanks for the perfect plants, safely delivered. Hi thanks again for sorting this. It has arrived and my friend is delighted. You always provide an excellent service and grand plants . My order from you arrived today . So expertly packed , they looked as though they had not travelled at all . Absolutely first class plants , I can hardly believe their cost , hope you didn't make a mistake , they look as though I should have paid at least three times the price you charge ! Just wanted to say how pleased we are with the two clematis which we purchased from you, they are very healthy, a good size with an excellent root system, both are now planted and we how they will grow well. By comparison I purchased a clematis "Fireworksï¿½ from another ebay supplier ï¿½ it arrived on Saturday (very disappointed) its not a fraction of the size, being much smaller both in stem and root but cost almost the same as one of the clematis that we purchased from you, clearly not all suppliers are the same. Thanks again, will be recommending you to our friends. Thanks for the prompt and efficient service. Healthiest looking plants I have ever received by post/courier. Clematis 'Grazyna" has just arrived! A lovely healthy looking plant! It is a 70th birthday gift for Polish friend named Grazyna, I'm sure she will be delighted! Thankyou for your excellent service and sending this beautiful clematis so quickly and so safely packed.Also thankyou for the lovely catalogue.Very Best Wishes,Sally. Our Clematis arrived today - brilliant ! I would just like to thank you for my order received, as informed by you, today. They came first thing, efficiently packed and they look fabulous! I shall be planting them later today. Many thanks indeed. Received the 3 clematis half an hour ago, Fantastic packaging and wonderful healthy plants. Just to say that the clematis arrived safely. Very good plants. Thank you. Thank you for a lovely, though rainy morning in Saturday. I will watch out for future events. Two very healthy plants arrived safely this afternoon. Now carefully planted, watered and anti slugged (I hope!). I have received my order 27923, and am very impressed with the quality of the plant and packaging and will be using you for all future clematis I require and will be recommending you to others. Just taking time out to say many thanks for your prompt delivery. Excellent service I will higly recommend you to my friends. This email is just to commend you on the quality of the two clematis you sent. Efficient and friendly service, beautifully cared for plants, and excellent packaging! Just to let you know my plants have arrived in fine condition. Excellent packaging and very healthy looking clematis. Can't wait to get them in place now. Just to say that my order arrived prompt this afternoon and the plants look wonderfully healthy. Just to let you know that the plants have been safely delivered - they are excellent and the courier delivered them early in the morning. A first class service! Just wanted to thank you for the prompt delivery and excellent service received on my order. The plants arrived yesterday in perfect condition and brilliantly wrapped. The quality of the plants is outstanding and we will enjoy watching them grow and flower. Safely received today, a lovely specimen and beautifully packaged. Hopefully will make my mother's 83rd birthday a good one! I just wanted to say that I took delivery of the above order on the 27th August as arranged, and the clematis was very well packed and secure in the box. Thank you kindly. Maxine Frieze. Confirming receipt of the 'Pink Fantasy' clematis with great pleasure. Delighted with plants received safe and sound and when promised. Their well being is over to me now and your growing guide will be most helpful. Hi Chris, Delivered today. Thanks very much for your help. Plants received safely and now in the ground. Very good service and healthy plants. Thank you. My clematis arrived safely yesterday and in perfect condition, thankyou. I was afraid they wouldn't survive the journey but they were packed so well that there was no chance of them being broken. Donï¿½t want to be a nuisance but just wanted to say ï¿½thank youï¿½ and your message box wouldnï¿½t take it! I bought a Cartmanii Avalanche from you at Harrogate this year ï¿½ a magnificent specimen, full of blooms; planted it in a sunny location in precise accordance with your advice and it seemed very happy. Naturally the flowers died off, but then the foliage started to die off and it was clearly not going to survive. At RHS Tatton Park, I called on your stand and explained my predicament and was advised to take a tube down to the roots and feed it. The change has been quite dramatic and the plant is now flourishing, putting on new growth almost as I look at it. All the clematis plants I have purchased from you have flourished well and I look forward to receiving my new purchase in accordance with your schedule this week. The delivery man returned later in the day and delivered the plants. It was very kind of him. I was very impressed by the quality of the plants and the packaging. Delivery of clematis arrived on Friday. Well done - great service! I am writing to thank you so much for the superb quality of the clematis which I have now received. All varieties look extremely healthy and where very well packaged. I will look forward to watching them grow. condition and really appreciated by my friend. It will be making its new home in Cornwall. Just writing to let you know I have received the parcel. The plants arrived well like you mentioned. This is already my third purchase order of this year! Thanks for the great customer service. I just wanted to let you know how thrilled I am with the service and quality of my delivery received yesterday. Thank you for the two Clematis Cirrhosa Lansdown Gem which arrived safely yesterday. I would like to thank your firm for the superb service, also brilliant packaging which ensured the plants were delivered in tip top condition and undamaged. Just off to the garden centre for some bonemeal and then to get planting! Plants arrived as promised, beautifully packed and looking far fresher than I have done making similar journey! They are planted and talked too. promised, well packed and in beautiful condition. What excellent service. Just a line to let you know how pleased I am with the four clematis I ordered, it made the ones at the garden centre look very poor. and now wait until spring with anticipation. Thank you for an excellent service. Good choice and information on the plants on the website; reasonable costs; and prompt delivery. On arrival the plants were well packaged and arrived looking really healthy (in contrast to so many garden centre plants!). I'm just looking for a break in the weather to get them in the ground before it deteriorates further. Thanks for the two clematis which arrived today as requested and are now planted. Very impressed by the quality of the plants, and the way they were packaged; hope they flourish! Shipment arrived to Switzerland a few days ago, in good order. Thanks so much. Many thanks, my plants arrived on time,well packaged and in super condition. The plants arrived safely this morning. I have just recieved my parcel of the 3 clematis I ordered from you on line. I would just like to tell you how pleased I am with them. Beautifully packed, they withstood what looks like some pretty rough handling by the PO. The plants are in perfect condition. The plants themselves look wonderful. It only remains for me to say thankyou, and I am so looking forward to watching them grow. Oh, and the catalogue you enclosed is disgustingly tempting, however I have no room for any more at the moment! This is just to let you know that I am exceedingly impressed with your service: I ordered the plants at the end of last week, and they arrived as promised yesterday in excellent condition and beautifully packed. Two of the four are already planted in their new homes, and I look forward to seeing them all blossom in due course. I will be back! With best regards, Michael Stone. Just a quick thank you for your very prompt service. Thank you very much for wonderful service regarding my gift to a friend in Sambrook,Newport .My husband and I are very impressed and hope to buy from you again.Jeanette Vaughan Stafford. Many thanks for our lovely clematis which arrived safely yesterday following their cross-Channel journey! They all look fine and the great packaging certainly prevented any movement during the shipping. It's fine and sunny over here at the moment, so maybe we can get them in over the next few days! Can't wait to see them develop and light up the garden! The consignment arrived this morning. Thank you for your swift and efficient service, your stunning catalogue and all the vital horticultural information. I am writing to you, as I have just received my second order from you. And I would just like to say how pleased we are with the four plants we have now received from Taylor's Clematis. The first two plants have been in the ground a few weeks now, and are looking settled in and growing well. All the plants have arrived well packed and in very good condition. Thank you for your excellent service and plants supplied. They have all arrived safely thank you. My Clematis plants arrived yesterday and all look really good and really well packed, thanks. Hi, I have received my order today, thank you. The plants were very well packaged and have nice strong roots and shoots. Looking forward to seeing them flourish. I would be happy to order from you again and will happily recommend you to my family and friends. Thanks again, Jenny Thomas. Thank you so much, Chris and Suzy, the three clematis plants have arrived this morning in excellent condition. I will certainly be recommending your nursery to my friends. Many thanks for such prompt and excellent service. The clematis arrived right on time in very good condition. Going in the ground tomorrow!! Thanks so much for your packet of feed. it was quite unnecessary but much appreciated. I thought your service was excellent and we are thinking about getting some more from you at some stage. The clematis have arrived and they are beautiful plants, never had such lovely ones before. Your packaging is excellent. Thank you, Norma. Plants arrived in perfect condition thanks. My plants arrived safely today, well packaged and in excellent condition and I am very pleased with them. This is my first order from you but it will certainly not be my last. Thank you and kind regards, Sylvia Wall. Thank you SO much!!!! I ordered my clematis on Saturday evening whilst on holiday in Abersoch and they have arrived today ï¿½ absolutely outstanding efficiency!!!!! I just wanted to say how pleased I was with my recent order - your website is very easy to navigate, I was kept informed of the progress of my order, and delivery was speedy with the two clematis I ordered being very carefully packed, and looking in excellent condition. Thank you - I will certainly use you again! Linda. Thank you for the five plants which arrived on Saturday. I was delighted that they were all strong and well grown on and had been expertly packaged. Now safely planted in their new home! All arrived in good nick. Thank you very much. Just a thank you for excellent service and superb plants, now in situ. Very impressed with everything, especially the "wardrobeï¿½ that the four plants were sent in. No damage to box or plants but we were almost defeated getting plants out of box!! Shall be strongly recommending you to fellow gardeners. Thank you for so carefully packing my two new clematis. They arrived in perfect condition and I am so looking forward to seeing those fat buds opening ! My plants have arrived safely. I wanted to thank you very much for the prompt service, careful packing and, most of all, lovely healthy plants. Iï¿½m most grateful to you. Just to say that I have a "mild" obsession with your clematis!! all the plants that I have brought this year and the two years before are fantastic. Brilliant roots and have flowered beautifully. Firstly, congratulations on your Chelsea gold medal 2015. Many thanks for the clematis which arrived safely yesterday. I am very pleased with the quality of the plants, the packaging and the very speedy delivery. I will certainly be ordering from you again. Many thanks. All done and many congrats on you Chelsea Gold! My patience has been rewarded and I now have two clematis in beautiful bloom. Thank you so much for your advice and help. Clematis Montana Mayleen received this morning, superbly packed. Delighted with your service - many thanks. The clematis has been received in excellent condition. I received my plants today and I would like to thank you for sending the most wonderful specimens. They are the picture of health and I am so excited at the prospect of planting them tomorrow morning whatever the weather may be. I am so glad that I purchased from a specialist nursery rather than my usual local garden centre. It is such a pleasure to do business with people who are clearly so passionate and conscientious about their plants. I just wanted to tell you how pleased I am with my order from you. Next day delivery, beautiful large healthy plants, beautifully packed - what more I wish for? Thank you. I would like to say a big thank you for my clematis it arrived safely and a very good plant. Very pleased to see you with another Chelsea Gold! Congratulations on winning gold at Chelsea. First time I have used Internet for ordering plants. Excellent. Web site informative and good to navigate. Tracking order put my mind at rest as I was having it delivered to a work place so I knew when to go for it. The packaging and condition of the plant was excellent. So so pleased as it was a special birthday present. Loved the catalogue sent with the order too .... I will be back! Our clematis have arrived and are in excellent condition. Don't know what I was expecting but these plants are gorgeous. Never again will I buy a clematis from a garden centre. Just to say thank you arrived as you advised,this was a present for a young man whose wife named Corrine Sadley passed away from breast cancer in November 2014 and then her husband suffered a very bad stroke in January at the age of 49, so very unfair,anyway I bought this clematis for his garden so he can see it from his window,as he makes a very slow recovery,it was great to see the smile it brought to his face.now we just hope it grows well and flowers for some years to come. Also your packaging was great no damage caused in transit. Thank you Geri. Clematis arrived safely ï¿½ thank you very much. Just a quick line to say the Broughton Star Clematis arrived safely today and is in good condition. I hope to get this in the ground as soon as possible. I reckon our summer should last about two days! Dear Chris I received my clematis today, I must say I am very impressed with the condition and presentation. I shall endeavour to now give it a good home. I would not hesitate recommending your company to friends and family. I really enjoyed the open day on Saturday, it was a lovely insight into the world of clematis, thank you. We received the clematis yesterday in perfect conditions. Thank you for such a superb package and delivery! Acknowledging safe receipt of lovely plants. Thank you. Clematis 'Galore' arrived today safe and sound and is now growing in her new home. Hope you'll be at the Malvern flower show next year. Just a quick note to thank you for your efforts which made the visit by South Normanton Gardeners Association yesterday so successful. We really did have a good time and the volume of plant sales indicated how impressed people were with the quality of your stock. Many thanks for your excellent service with my order No 35109 which was safely delivered this morning. Often there are mis-givings when ordering plants etc on line, but there are certainly none from me with regards my Sieboldii clematis, and I will have no hesitation ordering from you again in the future. Just to let you know that I received my order. All plants in top condition! I was very impressed how kind the delivery men were! Please keep dealing with Yodel, an advert for your business!!! What a lovely time we had today! Thank you for showing us round the Nursery and spending time with us. The clematis are now safely back at Mires Beck waiting to be planted out in the garden, where they will help us to practice lots of new skills and look beautiful for years to come. Geraldine and The Garden Team. Plants arrived today safe n well. Many thanks for clematis which arrived today and is now safely planted in a large container - all thanks to seeing you at Chelsea. I just wanted to say that I shall never ever again even consider getting any clematis plants form anyone else but YOU.. the plants are absolutely fantastic (and the packaging and delivery outstanding). Thank you so very much indeed!!!!!!!!!!!! Many congratulations on your latest Chelsea Gold Medal from a completely satisfied customer. Best wishes and thanks again for my beautiful clematis, looking wonderful in my new garden. What a deal of hard work must have gone in to achieving such fine results. I have put a 'let me know' on a clematis not in stock and have also sent on your email to a local friend who loves clematis! Just to say well done to you all. also we have received the plants we ordered at the show. Congratulations , a fantastic achievement! So glad you have my wondrous Josephine in the show. I now also have a double blue from you and I have called it 'Napoleon'!!! Received the 3 clematis first thing this morning. Fantastic packaging, contents all in excellent order. All three plants are now in their places in my garden. Many thanks for swift service and quality plants. Hello I am so delighted with the plants that I bought last year at your Open Day I have never had anything grow so well, the clematis that I had bought elsewhere are now doing better thanks to the fertiliser, and this years plants are looking well. Thank you so much for the beautiful plant that arrived in excellent condition and even arrived on his birthday!! We've bought several clematis from you over the years, all of which are doing well. I thought you might like to see a picture of our Wilsonii ( now in its 3rd summer). It has been looking absolutely beautiful for weeks and the chocolate perfume is wonderful. I ordered three clematis plants only a few days ago and was pleased to be given a delivery of either today or tomorrow. The plants arrived mid-morning today, beautifully packed in every respect (moist medium, upright and secure.). Needless to say the plants look extremely healthy and 'untraumatised'. We will certainly use Taylor's again and recommend you to our friends. Thankyou so much. The Clematis arrived today in superb condition so it's now up to me to plant and look after them! Grete ASCOUGH. Hi Jayne, my order arrived at 09:30 in undamaged condition, there's service for you. The packaging is very good indeed and when combined with courier delivery the end result is satisfaction. I buy a number of plants on line or from my newspaper (DT) and they arrive in very clever plastic containers which do not always perform as they should, difficult to make them Mail proof. The Duchy of Cornwall nursery is the only other supplier I've dealt with who take similar care of their mail order customers as you do. My daughter bought me "Parisienne" last year from your nursery and it has been a mass of flower for weeks, hence my return for another helping. Just to let you know that my order arrived this morning and the plants look in good condition - I will plant them this afternoon. This is my third order with you and, once again. I would like to say many thanks for your excellent customer service and quality of plants. I would like to say thank you for the super way your staff (Jayne) packed my Clematis, I received today. They are in a very healthy condition, thank you. In future I shall always buy my Clematis from you. Regards Mrs M Collett Looking forward to planting now. Just a quick email to say how admired my 'Corrine' clematis is ! A representative of your company came to Stamford Bridge [York ] Gardening Club a while back and I purchased the plant, photograph attached. The three clematis plants arrived this evening. The are excellent, healthy plants. I'm delighted with them - as I am with your service. Just to let you know the clematis arrived today safely and in lovely condition. Thank you very much. Aileen Fletcher. Many thanks for the lovely clematis...securely packed,and safely received. I received my order of Clematis Romantika yesterday thank you for the efficiency with which it was dispatched, the excellent packaging and the healthy, superb plant which arrived in perfect condition. Thank you also for the catalogue with its mouthwatering content - good thinking! I am just writing to say a big thank you for the prompt delivery of my order reference 36353. It arrived about fifteen minutes ago. I will certainly have no hesitation in recommending your company to my friends and I assure you that I will definitely do business with you again. Thank you for the beautiful sent to clematis. GOT DELIVERY OF THE CLEMATIS MONTANA MORNING PRIMROSE I ORDERED RECENTLY. GREAT QUALITY AND VALUE, EXCELLENT SERVICE NO HASSLE OR DISSAPOINTMENT INVOLVED AT ALL. WILL BE BACK ! FIVE STAR. THANK YOU. Received my order safely. The clematis is beautiful and many thanks for your quick service. Many thanks for recent delivery of 3 clematis looking healthy, one even blooming! received on Thursday as promised. Wonderful service and great plants. Hi, just wanted to say thank you for bringing a lot of life to my garden this year. After meeting you at Chelsea I bought 12 clematis from you this year. Although the bijou didn't survive the rest look fantastic. Thanks again, preparing my garden for more next year. Thank you very much for sending clematis so quickly. They arrived this afternoon, superbly packed and in superb condition - a credit to yourselves and your staff. Compliments also on your choice of courier who provide an excellent service and kept us informed of progress all along the way. On this experience we would certainly have no qualms about ordering mail order from you again and no doubt we will be back for more. Off now to do some planting. The clematis have been delivered safely today. Thanks for 1st class plants and service. My clematis arrived yesterday and they are beautiful and in fantastic condition. I've planted them in a border with Rosa Glauca and I think they will look great. The Jackmanii Superba Clematis arrived yesterday, on time and in good packaging. The plant is a good size, healthy and covered in flowers. It's a testament to the packaging that everything arrived intact. Very pleased. This clematis has been received today. Thank you. My compliments are sent to you for the excellent service surrounding this order. Your communications, delivery and detail are second to none. More importantly, the plant is wonderful and delighted to see blooms and buds on it. It is already in situ in my garden. Thanks to the entire team involved. Clematis arrived safely well packed and in excellent condition. Many thanks. Plants safely arrived today in good order. I recently ordered a Hyde Hall Clematis from you, it arrived yesterday in excellent condition and so promptly. It is now in position against a new Obelisk. Thank you.. the clematis SALLY has arrived safely. This order arrived this afternoon; and I am delighted with both the speed of delivery and the plants themselves. Thank you for the parcel delivered to me today. 2 Clematis Oberon & Pixie. Thank you to Suzy who packed it so well. Thank you to the rest of your team for such healthy plants. Pixie is potted up for the patio and I will plant out Oberon tomorrow. I have grown a cartmanii for over 5 years but have struggled to discover its name. It is almost certainly Pixie. Thanks for a 1st class service. Hello : just a little note to thank you so much for your prompt, efficient service and the beautiful clematis plants I received. This is the second order that I am absolutely delighted with. A fine looking plant arrived today. Thank you. Just received items - looking great so far. Many thanks. I just want to say how impressed I am with my two plants and also the exceptional service you give; not only are the plants lovely healthy specimens but they were so well packaged. The information booklet is extremely valuable as it gives so much advice on care and pruning. Thank you. I just wanted say how impressed I am with your service and with the quality of the plants you supply. My order was delivered ontime, very well packaged, totally undamaged and by far the best quality plants I have ever bought online (and I have bought a lot). Thank you. The parcel arrived in good condition. For two of my friends. Great service from you. Our clematis arrived this morning, excellently packed. And so easy to follow using the tracker system. And what good plants they look. They'll be planted after lunch. A real incentive for spring now. Many thanks for the plant. It arrived safely (well packaged) today in good condition. Also impressed with the tracking service. Thank you for the lovely Clematis plants, they arrived safely and are now planted up and enjoying the Autumn sunshine up here in Cumbria. I would definitely consider ordering from you again if I need any Clematis in the future. Just to let you know, the order was delivered yesterday and it's all fine. I was delighted with the diamond anniversary and lasting love clematisis (clemati?) that I bought my parents for their 60th wedding present. They loved them too. The plants were packed really well and arrived a day after despatch they were strong and healthy and much more mature than the specimens you see in the shops. Thanks Glynn for dealing with my queries. Just a quick line to thank you and your colleagues at the nursery for your excellent service. My order for the two clematises was delivered yesterday and the plants are now in the ground. Beautiful plants and I took great care with their planting. I am very much looking forward to seeing them thrive. PS I visited your nursery as my parents lived in Lincolnshire, and I also came to say hello at Chelsea Flower Show! Hello. I received my order earlier today. The 2 clematis' were in perfect condition. I've half prepared one hole for the winter flowering plant, which has had a good soaking. Will finish off preparations for them both tomorrow. Weather permitting. I am going to order some more for spring and summer flowering seasons. In early spring next year, this gives me time to prepare beds for them. I'd like to take this opportunity to say how very pleased I am with the four clematis that I bought from you online over the past few months. I am recommending you and your website whenever I can! my order arrived this afternoon and I am delighted with it - all ten plants look healthy. I've planted them already. Thank you. I just wanted to say thank you. I ordered five clematis from you and they all arrived in perfect condition and are all beautiful plants. I'm now looking forward to seeing them all in flower. Many thanks. And plants arrived safely yesterday so thank you for the speedy service. Thank you so much for the parcel of clematis which arrived safely at The Magic Garden in Wolverhampton today at 8.30am. I am pleased to note that you use Yodel carriers. I have always been very pleased with their deliveries. Your parcel was well designed and the plants were safe inside. I recently ordered a tree from Ornamental Trees in your part of the country and had to return it as the packaging was ill designed to survive the buffeting it received at the hands of the DYP courier! Thank you also for the catalogue and food. I have ordered another two clematis! Thank you very much for your terrific service, plants ordered yesterday, delivered this morning, wonderful. Cheryl. This is the second time I have ordered Clematis from you online and I just want you to know how pleased I am with the price, service and the quality of the plants I have received. Anyone asking me the best place to get Clematis from will be pointed precisely in your direction from now on. thanks for your help.my cousin was very happy with her Clematis. Thank you so much for the clematis I received last week. They arrived safely and were well packed. They are for friend who has her birthday soon to replace clematis she lost due to building work. I hope to order some more when the warmer weather arrives. Hi, I am a small private seed growing perennial nursery and I recently ordered clematis, not wildly unusual but the stock at the wholesaler was very tatty and the local nursery stock was also not great. I just had to e-mail you - the quality of the plants is incredible, the size and just the general appearance is unequaled in my normal experience. I have not used Taylors before but will now sing your praises to any customer wanting one (or 5) - You really have got the whole package from website to sale absolutely right, thank you, my staff will plant them confidently! (and correctly) and your prices are Brilliant. Kind regards to you and your team. Many thanks for your note and confirm that the clematis arrived today in perfect condition and they are safely planted! Just letting you know that my parcel arrived today, as you said, and was delivered by Yodel at about 11am ish. I had not opened it yet as it is a present for my Sister and Brother in Law, which I will delivery to them tomorrow. Sorry for the delay, your clematis arrived in very good condition no breakages at all, the plants were superbly packed , by Jayne alady who clearly looks after your interests as well as your Clients, well done to Jayne. Your little book on all all your Clematis Groups ,with very clearly defined instructions on each group ( 1,2, 3.) are very easy to follow ,and make life at my end a lot easier to impart to my Clients, brilliant. I will be back with some more orders ,once I have gathered them to gether ,before the end of the month. Have a nice day Kind Regards Jimmy. The plants arrived safely yesterday afternoon and I am contacting you to so how pleased I was with your service. I buy quite a lot of items (gardening and other) on the internet and I thought your service was very much better than many other companies. I ordered on Sunday, was given a choice of delivery dates and the plants arrived at the chosen time. They were carefully packed and look very healthy which is remarkable for this time of year. Let's hope that I can get them planted (if it ever stops raining!) and they grow well and perform as I hope. Many congratulations on providing such a brilliant service and thank you. Thanks for a lovely plant as usual. Can't wait for it to flower. Howdy, Plants arrived safely. Keith. Many Thanks. The order was delivered today and very well packed. Plants are all in good condition. Very delighted with plants and your service. Having just received two Boulevard clematis from you, I would like to congratulate you on your excellent service: speedy delivery, excellent packaging and two good-sized beautifully healthy plants. I will certainly be using you again. Please feel free to use this as a testimonial, if it is helpful; although I am sure you have many satisfied customers. I bought 5 clematis from you 4 weeks ago, 2viticellas, 2texensis and a montana, and I just wanted to email to say how pleased I am with them. They arrived quickly and well packaged, with fabulous root systems, and they have grown away (the viticellas in particular) so strongly and so quickly! Fantastic! I first bought from you at a show a few years ago and they have been the best clematis I've ever bought! I will never buy clematis from anyone else again! Thank you so much. Many Thanks for prompt delivery of my Clematis. All plants arrived in perfect order and look excellent. I just wanted to say a huge thank you for the beautiful healthy plant you sent out to me. It arrived safely and has just been planted. I can see why you do so well at Chelsea, good luck for this year! Just to let you know my order has arrive and I'm so pleased with my purchase such healthy plants and so well packaged. I've had some bad experiences with mail order but now I'm so happy I tried again will definitely be using you again and will recommend you to my family and friends. My order arrived yesterday and I was delighted and releived to see such big, strong, healthy specimens. I recently bought from crocus.CO.UK and received 2ltr pots of compost with half dead seedlings for £6 each, while under the impression I was buying grown plants. Thank you so much. I will buy again and again. thanks for plants delivered today, planted in garden today, well packaged, thanks again. Kevin. Clematis were obviously packed very carefully, and they look very healthy. So pleased. Much appreciated. Will no doubt order more. Said clematis safely delivered this morning along with the others. Very good service. Look to be really good specimens. All I need to do now is note the three different pruning regimes. Lovely browse through the catalogue that came with the plants and good clear planting instructions. I shall be recommending you to friends who are looking for clematis in the future. All the best and thanks for your help. I just wanted to thank you for the beautiful plants. They arrived in immaculate condition and the packaging was brilliant. I would use your company every week if I could find enough places to plant clematis! Very efficient, and I am very impressed. Just to let you know that the above order has arrived on-time and in good condition. I would certainly recommend you to anyone looking to putchase a clematis. We are absolutely delighted ~ really So. I have just had a call of delight in Lancashire. Thank you for fabulous service. I am well impressed. I ordered 2 plants on the 27th May and they were delivered on the 29th, well packed and in good condition. Also the price was lower than other online suppliers. I shall buy from you again. Thank you so much for my plants which arrived this evening. They look absolutely wonderful and healthy. They are definitely the best I have ever ordered online. Hello Chris, the parcel has just arrived in good condition. Plants are looking fine and strong. Regards Jayne. We received our order yesterday, the plants are lovely. I kust wanted to say thank you, my order arrived safely today and all 4 clematis have been delivered looking fantastically healthy. I've just got to try to keep them alive til my Mum's birthday next week. Don't think Dad will thank me for giving her your catalogue either as she's a massive clematis fan with over 30 in her garden already! Have now received full order in good condition thank you for all your help, Stan. Just a Thank you from ourselves for the extremely lovely Clematis ( Barbara ) that we purchased from you, it appears to be growing well and buds are healthy , we purchased this plant from you as a gift for our Sister in law,s daughter whose Mother Barbara was tragically lost in a car accident a few weeks ago and this will be a lovely memory as her Mum was a Clematis lover . Thank you very much and we shall no doubt be purchasing from you for ourselves, Kind Regards Gordon Dolphin. Clematis arrived in great condition. Now has pride of place near front door. I would just like to say thank you for such an imopressive service. My plants came this morning, very well wrapped and looking strong! I shall be buying more once I get today's delivery sorted. Once again, thank you for a very efficient service. Hi Chris just to tell you that John huxtable and Rosemoor arrived safe and sound to day and very well packed by Jajne.looking forward to seeing them bloom this year . I just wanted to thank you for the 3 beautiful clematis that arrived today. I'm delighted with your service, the packaging and the plants. Today was better than Xmas! Just seen on TV that Taylors has won plant of the year. Huge congratulations and we will look forward to seeing it when we come on our visit. Just wanted to say thank you so much for my beautiful clematis. It is much bigger than expected and I'm so pleased with it. My dad originally grew this clematis from seeds I purchased years ago and I had one plant in my garden. My partner then levelled out our garden and this was one of the plants I lost - I was gutted! It took so long to germinate and grow and I then lost it (so to speak). I now have that beautiful plant back again thanks to you all. You have made my day! I'm looking forward to seeing those lovely yellow flowers again. Many thanks once again and I'll be shopping with you again when I can make up my mind which plants to pick (too much choice!). Thank you for my clematis which I received this morning,can't believe how quickly it came after ordering. It was well packaged and in excellent condition.Once again thank you very much and I will confidently recommend you to others. My order of Amber Clematis arrived last evening, I am very pleased with them both -I bought one of them for my sister in law as a treat when we go to visit her next week. Thank you again! Amber arrived at 18-15 thanks. Very pleased with plant. Many thanks for a great plant, received today. It is now in the garden and I am sure my wife and I will get a lot of pleasure from it. Both clematis have arrived in excellent condition. Thank you so much. Ps I belive the first one came from you. Three extremely healthy looking clematis were delivered yesterday ï¿½ thank you very much. They show great promise and will be planted out tomorrow. packaging and the beautiful condition of the plants. I am now in for a very busy weekend planting, however should I have room for anymore I will certainly return to you. Clematis arrived this afternoon and is now planted! Many thanks. Just wanted to say how pleased I am with my clematis I purchased last year from you. Looks absolutely stunning in my garden! Thank you all so much for a most enjoyable visit yesterday. I think most of us were overwhelmed by the beautiful varieties on offer,such colour and scope for covering those bare patches in our gardens . The talk,Chris, was very clear and concise and I personally learnt a lot from it . The tea and cakes were delicious and most welcome. We had lots of positive feedback from our group and very few went back empty-handed. It was a splendid opportunity to upgrade our stock! Again many thanks to you all and we hope to see you in the future. I just wanted t let you know that I am delighted with my clematis which you and your wonderful team have despatched so efficiently after I fell in love with it at Chelsea!!!! Thank you for such lovely service - we live in Cromer and the next time we are in your area we will be looking t come and visit your nursery and buy a few more!!!! It is so refreshing to have such lovely service - thank you. these are the Very best I have ever bought on line over many years. Acknowledging safe receipt of lovely plants, well packed too. I just wanted to say thank you for so PROMPTLY sending my clematis which arrived in excellent packing order with lots of greenery and buds. A really lovely specimen. I potted it up the moment the courier handed it to me, and it is already climbing up the gazebo arch beautifully! I think I ordered these clematis on 27 June. Today, 28 June, before midday they have been delivered in excellent condition and will be planted this afternoon. 2 days from order to planting is absolutely first class service and the plants are large and just what I wanted. I might add that we live very close to Great Dixter who pride themselves on their collection of clematis. Their plants were totally inferior to yours and the selection was very limited. I have just received the clematis I ordered from you. It is a really splendid plant, strong and healthy, I have never seen one so good. Thank you very much and I look forward to next year when I am sure it will give me lots of lovely blooms. Just to say that my two Clematis have arrived and I am delighted with the condition of the plants. Just to let you know that Styvechale Open Gardens which you kindly supported with a £20 voucher for our raffle raised £4145 for charity. All the brochures you sent us were taken by visitors so I hope you get a few extra orders. I hope that you will feel able to support us again next year. My clematis order has been safely received and I would like to thank you for the beautiful plants and the superb condition in which they arrived and for your efficient service. I have never seen such excellent specimens from an on-line store and have been showing all my friends. Many thanks to you and your colleagues for ensuring that your plants arrive in such splendid condition, and in such good time, on the day specified, a real joy to receive. this is to thank you so much for your great customer service in delivering my fathers clematis. Yodel let us both down but your kind offer of trying again has psid off. My thanks to you and the team at Taylors for a great service. Many thanks for the prompt deliver of my order. All Clematis arrived in perfect condition despite the hot weather. Hope you had a good show at Tatton. Best wishes. What service! My order placed approximately 24rs. ago clematis now unpacked and placed outside for a breath of air, and if it stops raining will be planted get today. Thank you to the team, excellent service. Just a quick note to thank you SO much for the several orders we have had this year. All the plants have arrived in marvellous nick, strong and healthy. They have all taken and grown away splendidly - even Princess Kate who sulked for a few weeks. Please pass on our thanks to the team, and especially to Amanda who packed our most recent order, and who looks exceedingly glamorous in your catalogue! My order arrived safely at 10.30am today, exactly as you had notified me. The packaging was fantastic and had protected the clematis superbly. I think your company are first class and professional with lovely touches like your thoughtful acknowledgement of my small order and Suzyï¿½s thank you signature on the arrival document. The upper stem and side shoots were intact in every way, it hadnï¿½t even lost a leaf. The clematis looks really healthy and I am very pleased with my purchase. I have recently bought a number of clematis from you. They arrived in such excellent condition and have bedded in well. I am very grateful for your attention to my orders. The best online plant buying ever! I will be recommending your company. Judy. My order has arrived safely, and the plant looks lovely, I shall nurture it carefully. Thank you so much for the plants. Having spent most of my working life in horticulture, I can honestly say I have never seen better. Package, post and price were also first rate. Just a note to say how pleased i am with, the condition of the Clematis, packaging, delivery date and time. your delivery of 3 new clematis safely arrived this morning. thank you. Another superb plant, beautifully packaged and promptly delivered. Thank you Chris and Suzy. Thanks once again for an impeccable ordering and delivery service. Ordered Tuesday PM, delivered Thursday AM [ early AM) planted and growing mid AM Thanks again to your team, will be back. Special thanks to Suzy, superb packing of live plants. I would just like to thank you for the prompt delivery of my order. They were well packaged and healthy looking plants, one is even in bud. I look forward to seeing them grow. Received clematis today,in good condition.Very pleased with it. Sincere thanks for the help you gave me, in selecting the right Clematis for my requirements. They arrived in excellent condition and the recipient's were very pleased with them. Each time they go into the garden, they will see a lasting memory of their loved ones. Thank you again for your excellent plants and hope to do business with you again, but on a more happy note in the future. Just a quick note to confirm safe receipt and say thank you very much. Good strong healthy plants . Well developed root system. Could not be happier. We are very pleased with the clematis that arrived on time and beautifully packaged. Thank you Dennis and Trudy. Thank you so much for our clematis. We ordered on Wednesday and they arrived Friday!!! Exceptional quality plants, superb packaging. We can not wait to get them planted. By including one of your catalogues in the parcel you have even solved a problem that I have had. What wedding present to buy my best friend and fellow gardener. Should it be 'Beautiful Bride'...'Congratulations'...' Confetti' I think it may have to be all three!!!! But then what about 'Special Occasion'... 'Wedding day'...'Best Wishes' or even 'Forever Friends' Oh dear I may have solved one problem only to have gained another. Thank you so much for delivering the clematis. Our friends were delighted with their gift , as keen gardeners it was the perfect Ruby Anniversary present. Just to confirm the clematis arrived happy and safe on Wednesday and are now in the ground, where they have survived the violent heat of Wednesday and Thursday and then the downpours of Thursday night and the rain of yesterday. All they have to do now is to survive any evil-intentioned slugs and snails, the local garden centre now being out of stock of humane non-poisonous anti-slug defences. Good plants and good service. Thank you. Hi, just to say thank you for our Beautiful Clematis, they look lovely already, hopefully we will have no trouble with Wilt with these. Your website is great and everyone has been lovely, nothing too much trouble, would not hesitate to shop with you again. Regards William. Clematis Korean Amber has arrived. I could not be more pleased with its condition and quality - many thanks! Thank you for the safe arrival of this , today, in fine condition. (Giselle and Koreana Amber) in Bangor, Gwynedd. Thankyou so so much for a great talk on Saturday and for selling all those wonderful plants ( I bought six !) .The feedback from the HPS members was all very positive and it was good to see so many of them leaving the school clutching their purchases .I have been going round our garden today wondering where on earth I am going to plant all my clematis and may well pot them up and put them in their permanent homes later or in Spring . Suzy and Chris ~ a big thank you ~ my clematis order arrived exactly at the appointed time, and intact ~ I always marvel at the way you pack the plants ~ nothing was damaged. I received my order for two clematis first thing this morning. I now have 9 gorgeous plants from you and they have now all been planted. They will be looked after with tender loving care too. Theyï¿½re beautiful plants and weï¿½re so pleased ï¿½ we look forward to seeing them in flower next summer. Thank you so much for processing my orders so quickly and packaging them so well. My clematis arrived about an hour ago. The plants look great. FAO: Suzy. Once again many thanks for the prompt delivery of my latest order. Your superb catalogue left me spoilt for choice, it saved me trawling round garden centres! Your website to is a revelation. Keep up the good work. Many thanks for the safe delivery of clematis " Princess Diana ". My mum was delighted as she had spent two or three years looking for another one of these plants when she lost hers one winter. The gift of a laptop computer to her, earlier this year has certainly opened up the joys of internet searches and internet shopping! I must say that the packaging of the plant was excellent and the notification from yourselves and the delivery service ( five emails and a text! ) showed a remarkable attention to detail and a very efficient service. Thanks again. I am pleased to tell you that the 7 Clematis I bought arrived safely a short time ago. It is foul weather at the moment with gales and driving rain but fortunately the Yodel driver arrived during a lull in the rain so I was able to bring them indoors and unpack them in my kitchen. Thanks for packaging them so securely. I am delighted with them and can`t wait for an improvement in the weather so I can get busy planting them in their new homes. At the moment they are stored in our porch which faces north and conveniently is the same temperature as the garden so they will not suffer a shock when eventually the weather allows me to work outside. At least there they won`t get blown over and buffetted. While they are still in their pots I don`t want to risk the strong winds damaging them. I gave them a little water as several looked dry on top. I also love your catalogue and being a Clematis addict how I wish I had a much larger garden and a bottomless pocket. It is great just looking at the pictures and absorbing all the information. It is such a huge family and I am pleased to say I have Clems flowering nearly all year around and the new ones should fit in well. Ordered on the 8 November, received on the 10th November. Beautifully packed, excellent plants in perfect condition. Superb service - many thanks. Thank you for the lovely plants and excellent service. M.H. Just to let you know, Freckles arrived safe and sound this afternoon. She looks lovely and healthy, thank you very much. On behalf of club members I'd like to thank you very much for coming over to our meeting yesterday evening. You gave a first rate and very comprehensive presentation on Clematis which was enjoyed by us all. We were also pleased to have such a good variety of plants to buy so thank you, and your helpful daughter, for transporting your stock. Taylor's Clematis seem to go from strength to strength and winning RHS Plant of the Year must have made this a particularly successful year. Good luck in the future and thank you again for passing on your enthusiasm and knowledge last night. Just a brief note to thank you for delivery of the clematis as ordered - what a speedy delivery! As the snow was falling at the time of delivery (now 2"), I read with more than a little irony that I would be able to plant it at any time of year!!! I'm hoping for a brief period of respite after this cold snap to get it in the soil. Ease of use of your website. Prompt, tracked delivery, with choice of delivery dates. Clematis received safe and well. Thank you for an excellent service. This spring I indulged myself & bought a few more plants four of which I planted in the soil. The fifth went into a very large terracotta pot just outside my back door where it grew like fury with good dark glossy foliage, masses of tiny purple blooms & best of all ,an exquisite vanilla perfume - Aromatica indeed! I received my 3 clematis yesterday, Avant Garde, Best Wishes and Diamontina, all super healthy plants and beautifully packed. I would have no hesitation in buying from you again. In fact, my son also bought some for me for my birthday in October. Thanking you, Helen Kilby. I've received my Christmas wreath today from yourselves, it has arrived in great condition and if anything, as a returning customer I would go as far as saying it's even better than last year, how did you manage to surpass that! Wow!! Thank you so much and a Merry Christmas to you all. I would just like to thank you for the prompt and efficient delivery of 2 freckles clematis ordered as Christmas gifts for delivery around 21-22nd Dec to Gubblecote, Nr Tring and Flitwick. They both arrived with plenty of time and were in perfect condition. These were a lovely Christmas gift and both recipients thought they were great and planted them straight away. I hope that this time next year they will look splendid in their gardens. Again, many thanks for everything, a belated happy Christmas and even better New Year. I look forward to looking at new catalogue and great plants in future. just a line to thank you for your careful attention to this (my first) order. The package arrived when you said it would, well packed with the contents in perfect condition. Once again, many thanks and a Happy New Year! Clematis arrived this afternoon. They all look absolutely fine, good looking plants very well packed. Thank you very much, I look forward to seeing them in bloom! Thanks for your efficiency with my order which arrived safely last week. I look forward to some great plants! My plants arrived in good order this afternoon, so thank you very much! Just a quick note to thank you for the clematis that arrived this morning, superbly packed and in great condition. I think that it would have taken me longer to come to your nursery in Doncaster to pick up the order than it did to come by courier ï¿½ great service !! I thought that you may like to see the new home for the Elizabethï¿½s which will hopefully adorn this Scots Pine here on Windermere. Thanks again and we hope to buy again from you in the future. Thank you for our first order of clematis which arrived yesterday. We are delighted with the plants and the level of service received and look forward to ordering from you again. Clems received at 8.10am. Very impressed with the packaging. I havenï¿½t taken them out of the box yet as needed tea first!! They look great and nothing in the box has moved, impressed is what I am. Thanks for getting them here safely and its nice to know that I now have Clems that I WANT instead of what I can get!!! Canï¿½t wait for the warmth to get them growing on. Many thanks for the plants. They arrived safely today. Just to let you know , that my plants have arrived, and are all in good shape. Once again thanks for a great service and super plants, I will be back should I need anymore. The clematis arrived on time on Tuesday ï¿½ in very good condition. The booklet showing your range was also very good. Very,very good service. I will be back and will tell all my fellow gardeners ! Thank you so much for the 4 lovely Clematis received today. Your service is exceptional, and I dare'nt look in the catalogue! Many thanks for delivery today of the 8 clematis plus feed that I ordered yesterday. All well packaged. all seem in really good condition. I am eagerly awaiting the gardener to plant them all along the fence to replace the ancient ones that have gradually disappeared over the last 2/3 years. I made the error of trying to replace them last year from the supermarket and out of a dozen not one survived. False economy indeed. Dagenham, Essex. Thank you very much for the beautiful clematis that arrived this afternoon in perfect condition. We are looking forward to seeing it bloom and flourish. Just to say thank you for so efficiently selecting and organising the delivery of a beautiful clematis to Dene Cottage. It looks as though it is raring to go - and I hope we can give it the right kind of encouragement! Thank you to all involved in growing & despatch at Taylors Clematis. Just to confirm to you safe receipt of my order. A Lovely healthy Armandii apple blossom clematis delivered this morning. Our own piece of Chelsea gold. Now looking forward to many years of enjoyment. I just wanted to say how pleased I have been with your service. The plants arrived today in good condition and will be planted tomorrow. However, my reason for writing is to congratulate you on a first class service. The website was excellent to use with ample information provided in order to make an informed choice. The classifications were also excellent and avoided me having to look through all of your plants. The choice of plants was also so good. Ordering was a breeze and with a choice of delivery days, added an extra service. Tracking information on delivery also good. Prices excellent. All in all a tremendous service. Thank you. Why haven't I used you before? Just wanted to say thank you very much for my recent order which arrived yesterday. The clematis all look marvellous and were packed so carefully and well. Also, I think your catalogue is definitely the best one for clematis that I have seen ï¿½ itï¿½s great to have the different types in sections with the relevant pruning instructions, really helpful. All my clematis are planted already and Iï¿½m now looking forward to seeing them in flower later this year. I shall definitely be recommending you to my friends and family, and ordering more from you for myself. Very pleased with the lovely plants which were delivered today. Can I just say a big thank you for the Clematis I ordered from you on Tuesday. I was worried it wouldn't arrive in time to me here on the Isle of Wight for my Mum for Mothers Day, but it has and it's a first class specimen. I'm so pleased with your quality of plant, service and communication. can't find the right box to leave this message but you you are welcome to copy and paste it. Thank you so much for rectifying my order today. I wanted to order 2 Margaret Hunt plants as this was my mother's maiden name. She recently passed away and I thought it would be lovely if my brother and I had a plant each. I needed to change the delivery address for one of the plants. Chris was very prompt and helpful in his response. Thankfully I was able to give my mum a plant with her name on it while she was still able to understand. Thank you Chris. Carol Lowther. I thought I'd let you know that the clematis have arrived safely, and are looking fantastic ï¿½ thank you very much. Just a quick word to thank you for my clematis 'Kitty' which arrived today. A nice clean, healthy and strong plant excellently packed and delivered on time. Now looking forward to it flowering. service and a beautiful plant. Thanks so much. I'll certainly be ordering from you again! Plants arrived this morning and they are GREAT!! Thanks you for first-class service all round. My goodness what a service. From the moment I placed the order they could not have been more helpful. I was able to track my parcel as though it were the Crown Jewels and it turned up on time and in perfect condition. Thank you so much. I will definitely use you again and heartily recommend you to anyone.